snap locking is a new trend for now. This design no need cliper and seamer,fixed by screw. the standing seam roof panels have a concealed fxing or seaming method by turning up the edges of two adjacent panels, and then folding or interlocking them. In this way, the seaming or fixing parts are invisible, and therefore sometimes we called the panels concealed fixing panels! The machine got its name as concealed fixing standing seam Roll Forming Machine accordingly! Machine designers always build the hydraulic pressing between roll forming part and hydraulic cutter so that the depth, distance and quantities of steps can be adjustable and clients can change any time throught the touch screen on PLC control box. Looking for ideal Equipment for Standing Seam Roof Manufacturer & supplier ? We have a wide selection at great prices to help you get creative. 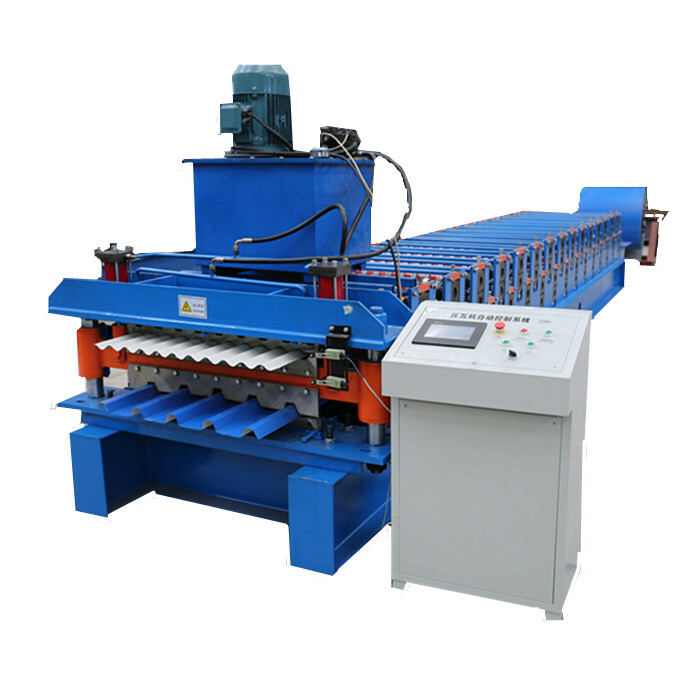 All the Standing Seam Roof Forming Machine are quality guaranteed. We are China Origin Factory of Nail Strip Standing Seam Making Machine. If you have any question, please feel free to contact us.